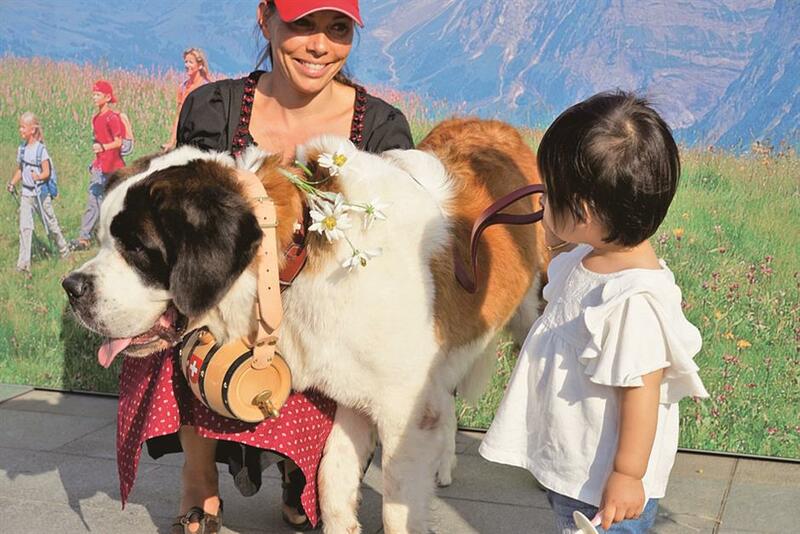 As part of the recent Switzerland-China Year of Tourism 2017 celebration, Apero and Bricotine, two St Bernard dogs and their owners were in China for two weeks. 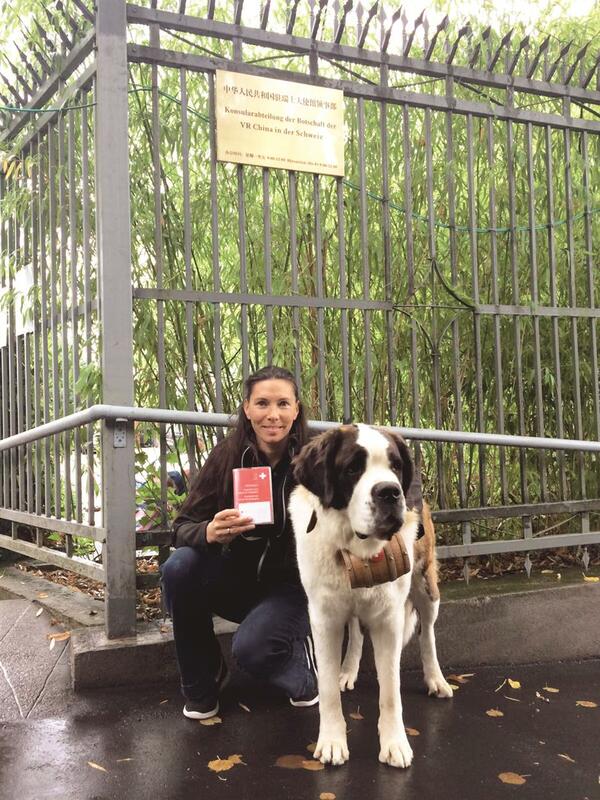 For Apero and Bricotine, two St Bernard dogs from Switzerland, international travel is a piece of cake. As part of the recent Switzerland-China Year of Tourism 2017 celebration, Apero and Bricotine and their owners, David and Rachel Luthi, were in China for two weeks, promoting Swiss tourism and fostering ties between the two countries. In Beijing, Apero and Bricotine climbed the Great Wall just like regular tourists. In Shanghai, they greeted people in a shopping mall and two major parks. St Bernards are giant dogs. Bricotine, the female, weighs 58 kilograms and stands 85 centimeters high. Her brother weighs 70kg and is 101cm tall. They have the same mother but different fathers. Bricotine is long-haired and Apero is short-haired. 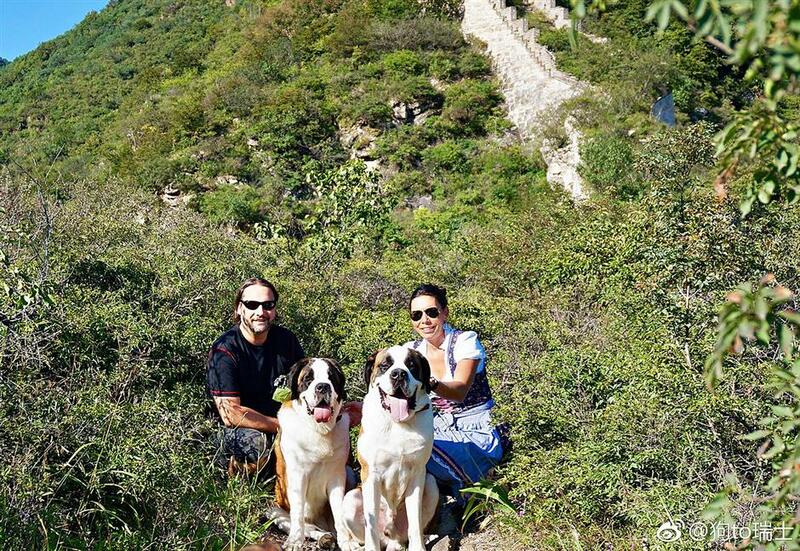 Apero (right) and Bricotine, two St Bernard dogs from Switzerland, visit the Great Wall in Beijing during their trip to China with owners David and Rachel Luthi. 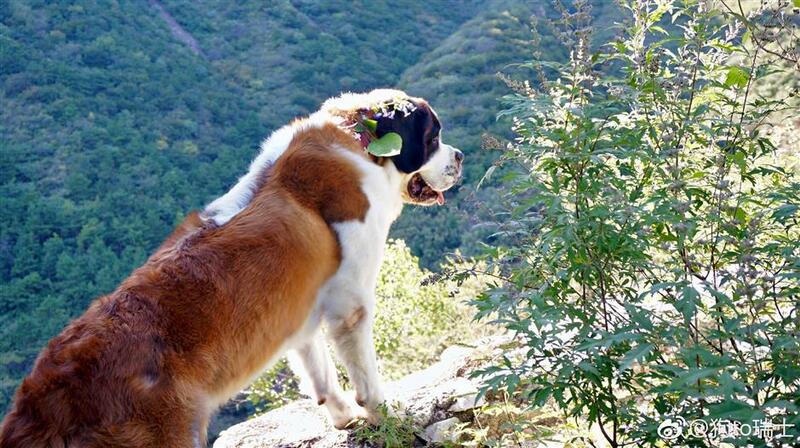 David and Rachel often take the dogs on vacation in the mountains because St Bernards love to run and play. They were initially worried if the dogs could cope with living in hotel rooms in China, but it turned out they enjoyed the soft carpets very much. During their stays in Beijing and Shanghai, Apero and Bricotine enjoyed meeting people. They are very large yet gentle dogs and play especially well with children. The dogs have traveled extensively in different countries and participated in various shows and events. This time, they flew Swissair to Beijing and traveled to Shanghai by car. As canine ambassadors for Switzerland, the brother and sister even have Chinese names now. Three-year-old Apero is named 哈罗 (Hello) and Bricotine, 2, is 哈妮 (Honey). 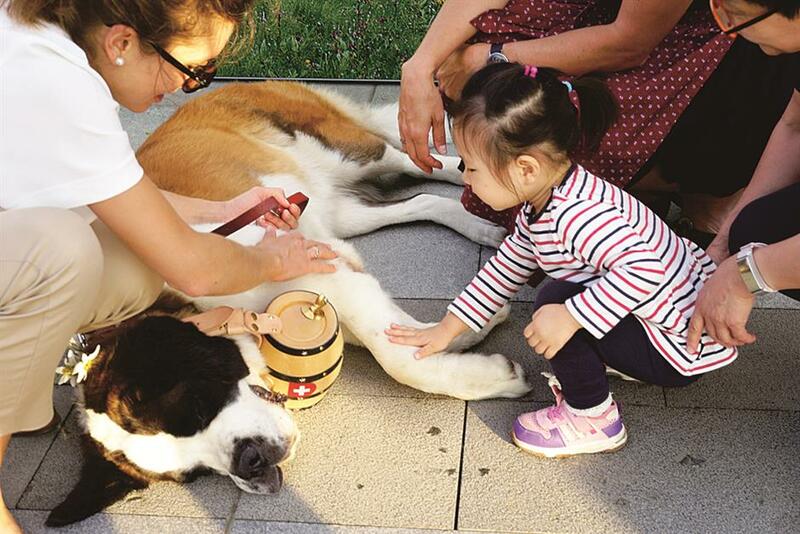 St Bernard dogs from Switzerland greet children at Vanilla Park in Shanghai, along with their owners David and Rachel Luthi. David and Rachel have raised dogs for 10 years and started to focus on training St Bernards three years ago. Just like pandas to the Chinese people, St Bernards are a Swiss icon and represent the country’s values. St Bernards are mountain working dogs that can withstand extreme cold. They are strong climbers and were originally bred for mountain search and rescue in Switzerland. St. Bernard rescue dogs carry a barrel linked to their collar filled with brandy which victims can drink to stay warm when they are first discovered by the dog. The most famous St Bernard to save people at the Great St Bernard Pass was Barry (1800-1814), who reportedly saved more than 40 lives during his lifetime. In the Cimetière des Chiens near Paris, there is a monument to him, and his body is preserved in the Natural History Museum in Berne.